A snowy day and knitting go together like tea and biscuits, popcorn and movies, fish and chips, and spaghetti and meatballs. Well, you get the idea. 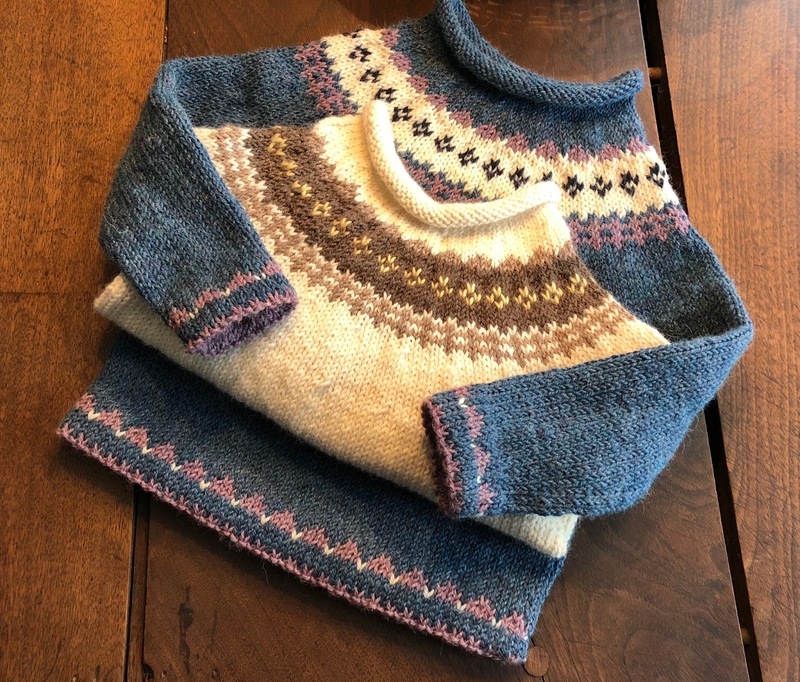 During the last few snowy days of this winter, I have finally had time to write down a fair isle pattern for a classic unisex baby sweater I've knit several times without a pattern, because I loved the look so much. 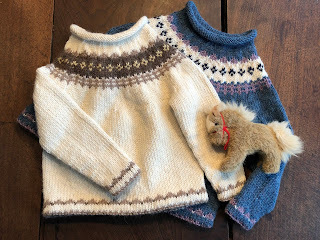 This little Fair Isle pullover for babies and toddlers is therefore called "Snowy Day." It's a quick baby gift with lasting qualities. Snowy Day is a sweet little jumper for babies and toddlers with a generous, boxy design that will fit more than one season. 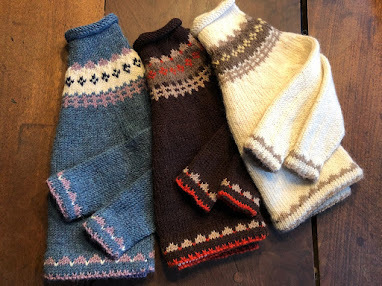 Easy on comfort for wee boys and girls with a rolled neckline, it's knit with worsted yarn, and its hemmed cuffs can be rolled the first year and worn down the next. 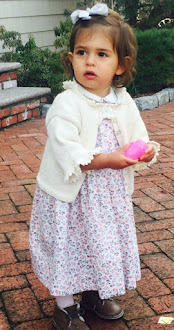 Because of its chubby style and cuffed sleeves, it fits sizes 18 - 36 months or even older toddlers. You'll need two skeins of Berroco Ultra Alpaca, 219 yards (200 m) each for the main color and less than a 100 yds each of three contrasting colors for the stranded colorwork. Snowy Day is knit in the round, so the hems and underarms are all the sewing up you'll do. The colorwork never involves more than two yarns, so its a piece of cake. The written instructions are four pages with photos and charts. You can find the Snowy Day baby sweater pattern on Ravelry, Loveknitting, and on Etsy. Ask for the pattern at your local LYS, as it's sold to local yarn shops through Ravelry.